If you have ever wondered what it’s like to be a university student, now is your chance. The University of New Brunswick is inviting high school students and community members to experience life on the Fredericton and Saint John campuses Jan. 30 and 31. On the Fredericton campus, the faculty of arts is hosting an open classroom event. They are opening more than 20 classes to the public over the two days. Guests will also be able to sign up for campus tours during their visit. Dr. Robert Gray, a filmmaker, author and UNB English professor, will again be opening his international film history class to all those who wish to attend. Last year, he welcomed several grade 11 students to this class. During class, they watched a film and then worked together to analyze and discuss what they saw. “This class is about how film is important to understanding ourselves, relating to others and finding compassion,” said Dr. Gray. “Many of the high school students jumped right in and were excited to participate, I think they really took a lot away from the experience." He added that while it is not yet well known, UNB has one of the best arts programs in the region. 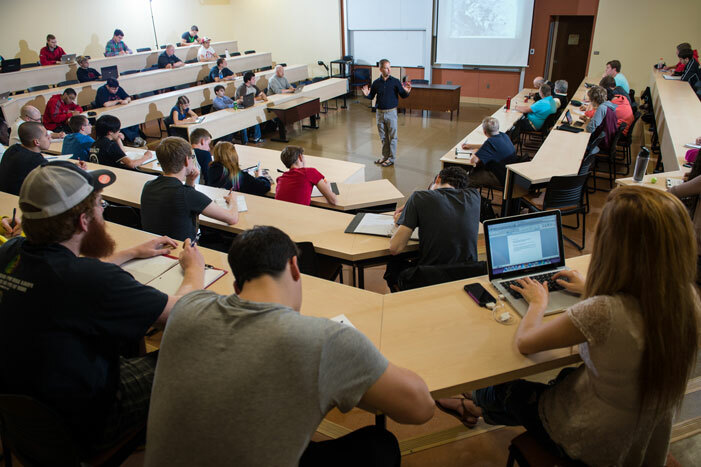 Class offerings in Fredericton for the two days are wide-ranging, including Ancient Greek Warfare, Military History from Plato to NATO, and Introduction to Psychology. Participants are encouraged to register ahead of time to reserve a seat in their preferred class. The Saint John campus will also be opening its doors to new and prospective students. Participants are invited to experience a full day as a UNB student, from sitting in on classes to visiting residence and eating at the meal hall. UNB Saint John events will also include a photo scavenger hunt to help new students discover all that the campus has to offer and the possibility of winning a few prizes. Recruitment officers will be available on both campuses to help with any questions and book tours. Participants are encouraged to register ahead of time for events on either campus, as classes may fill up quickly.